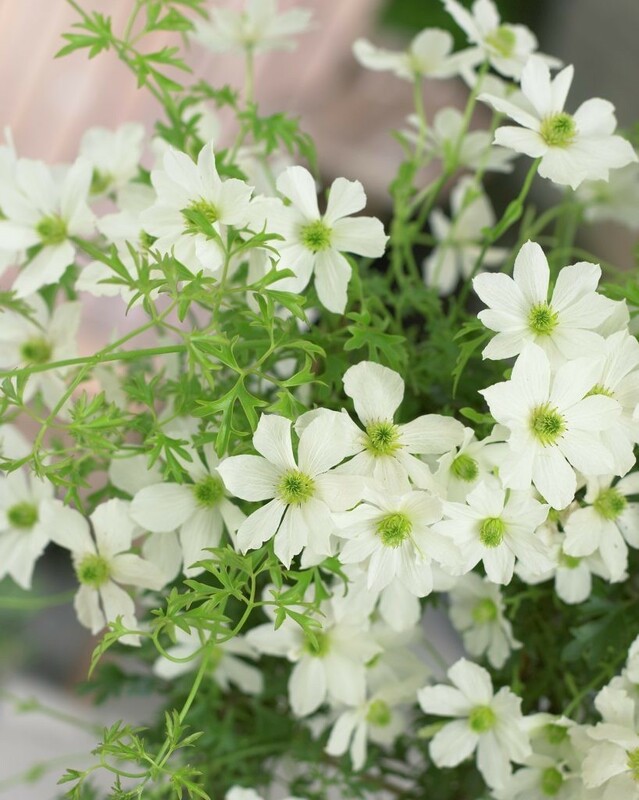 Clematis Avalanche has large flowers over curly, parsley like evergreen foliage climbing to between 6 and 8 feet tall its is one of the best spring bloomers available, filling the air with a sweet fragrance from March onwards each year. The blooms will stand proud of the evergreen foliage so you really can enjoy them at their best. 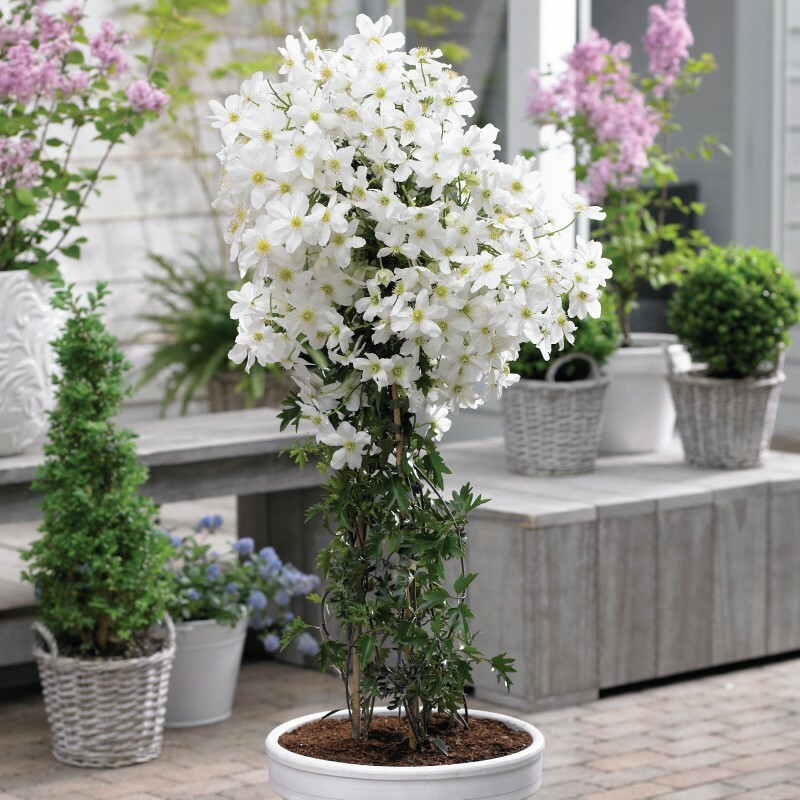 It’s compact habit makes it perfect for patio pots and small gardens. Avalanche can be grown in pot or in the ground and requires little maintenance or pruning. Supplied in approx 2 litre containers full of buds and blooms in season.